I first heard about Hugh Howey from Susan Wyndham, the literary editor of the Sydney Morning Herald, who interviewed me in late 2012 for a piece on self-publishing. The cover of my own book, Kiss Me, Genius Boy, appeared alongside Howey’s Wool, and I’m happy to have been placed in his company. 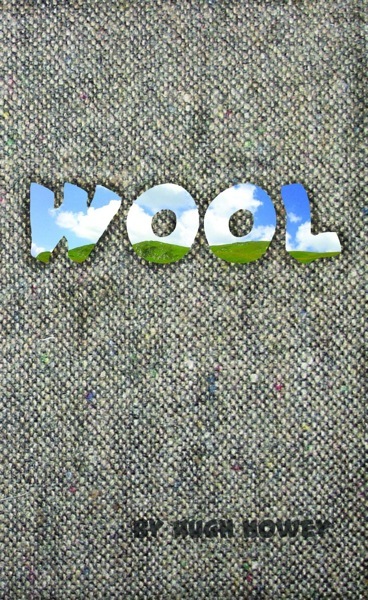 Wool is exactly the kind of title that proves independently published work can match the quality some associate with traditional publishing. (I say “some” because it’s also frequently argued that the big six publish vacuous, formulaic garbage.) Howey’s writing is clear, simple, and vivid, and in the mere fifty pages or so of this volume that begins the Wool series, he manages to encapsulate a good deal of the classic movement between dystopia and utopia that is a common theme in SF. What is at first the story of the narrator Holston’s lost love and a picture of the cramped, postapocalyptic dystopia of the Silo that he inhabits turns into a tale of conspiracy. The puppetmasters of his society, it seems, use illusion to keep their people from the glorious truth. It is often said, as though it is a truism, that our own prisons are a lie–that the door to the cage is always open–but at the last minute Howey subverts this trope by performing a double switch, revealing that the utopia held out to Holston in the minutes before the death he expected is itself an illusion. And the major question we are left with is “why?” In this first volume, Howey skillfully withholds and dispenses the Silo’s secrets, resolving much but ending on a note of mystery which is likely the key to his commercial success as an indie. If I want to find out why, and I do, I’ll have to keep reading. Rinse, repeat, profit. I don’t mean to sound cynical: I should take some pointers. Previous Previous post: Where’s the vanity in self-publishing?